To many people the idea of our Virtual IVF treatment sounds, well a little ‘Wacky’. To others it is the chosen way forward, the treatment of choice in fact. At the Elite Clinic in Spain Martin and Marion Shirran are proud to have played a key part in helping several couples become parents;some women becoming pregnant naturally using powerful, yet natural, relaxation methods, instigated by TCBT® underpinned with Hypnotherapy, others being helped to conceive by the introduction of deep relaxation, using hypnosis just prior to or during their IVF treatment. 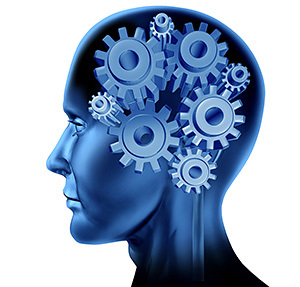 Medical research has shown that using hypnosis instead of tranquillisers at this time can double the success rate. The results achieved are not surprising, as they fall in line with other research into the phenomenon worldwide. Additionally thanks to the minimal fees involved in comparison to private IVF treatment, hypnotherapy is likely to be considered as the initial treatment of choice for couples wishing to conceive. Obviously there is often a biological / medical reason behind infertility problems, which can only be treated with full professional medical care, but at the same time, if a woman allows herself to become over stressed about her inability to conceive, this also exacerbates the problem. In a growing number of infertility cases, however, no specific medical cause can be attributed, and it is highly likely that the barrier to conception is primarily psychological, or stress-related. Stress and the role it plays in conception, is the subject of ongoing medical research;existing research shows that the body responds to stress by triggering the hypothalamic-pituitary adrenalin (HPA) system. This in turn releases a number of neuro transmitters, including the primary stress hormone Cortisol, which affects the delicate balance needed for ovulation, fertilisation and implantation of the fertile egg in the womb. Our experience is in line with other organisations in that women trying to conceive are usually doing everything in their power to keep their bodies in peak condition, taking notice of diet, exercise etc. Yet all too often they still allow destructive and negative habits and thoughts to dramatically reduce their level of fertility. Add to this the anxiety usually experienced by women trying to get pregnant, and the all too familiar negative loop takes hold. Sometimes just the fertility treatments alone have the ability to increase negative emotion, especially with the trauma of the invasiveness of the procedure: put this together with the sometimes negative effect of the situation on the couple’s relationship, and stress levels can go through the roof, dramatically reducing the chances of conception. Stress, of course, can also affect the man’s sperm count and sperm mobility. 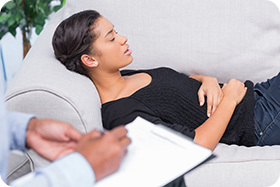 Hypnotherapy is a highly effective mind-body technique,often women who have been trying unsuccessfully to conceive will be adamant when interviewed that they are not aware of any stress in their lives, which is often the case on a conscious level, but at the clinic we identify the many subconscious blocks that often interfere with conception. 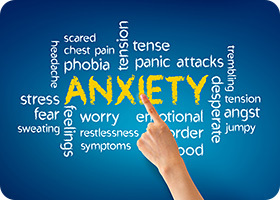 In a relaxed, therapeutic environment, the hypnotherapist and the individual work together to bring about more positive attitudes and feelings. The majority of clients seen at the clinic are UK residents who visit Spain specifically to undertake the personalised treatment package, which normally involves up to a maximum of twelve sessions. Please feel free to contact the clinic to discuss your requirements and to allow us to answer any questions you may have.